Pittsburgh based soprano Kelly Fiona Lynch’s most recent successes include the title role in Bellini’s Norma, Vitellia in Mozart’s La clemenza di Tito, Giorgetta in Il tabarro and the title role in Suor Angelica for Undercroft Opera. She has also performed the title roles of Lucia di Lammermoor and La Traviata for Erie Opera Theater. She was also the cover of the title role in Microscopic Opera’s production of Lizbeth, by Thomas Albert. Kelly has also performed in Italy and Central America, and has conducted masterclasses in San Jose, Costa Rica. Kelly is the Founder and Director of the Vocal Recital Series at Chatham University, which will begin its sixth year this fall. This series features local opera singers in performances of the song and operatic repertoire. Some of the excerpts that she has performed in this series are the Riddle Scene from Turandot, excerpts from Verdi’s Otello and Wagner’s Ring cycle. 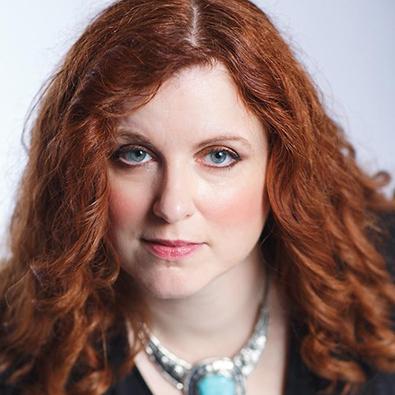 Kelly has also performed as a soloist with the Erie Chamber Orchestra, Pittsburgh Philharmonic, Johnstown Symphony Orchestra, Westmoreland Philharmonic Orchestra and the Edgewood Symphony Orchestra, where she sang Mahler’s Kindertotenlieder and the title role in Bizet’s Carmen. Oratorio repertoire she has performed includes the soprano solos in Beethoven’s Ninth Symphony, Rossini’s Stabat Mater, Verdi’s Requiem and Strauss’ Vier Letzte Lieder. Perfect pitch and exceptional musical skills have also proved her worth to the world of new music. Kelly has performed Schoenberg’s Pierrot Lunaire numerous times, as well as the challenging King Harald’s Saga of Judith Weir, and has performed works by composers as Eric Moe, Roger Zahab, Reza Vali and Barbara White. Upcoming performances include the title role in Verdi’s Aïda, with Undercroft Opera, and scenes from Verdi’s Don Carlo at Chatham University. Kelly is currently on the faculty at Seton Hill and Chatham Universities.